The origin of the names for Eber and the Hebrews, as used in European Christian languages, derived from Aramaic עבר ʿĒḇer and עברי ʿIḇrāy, as spoken in the Roman province of Judaea and by those Jews who escaped the province's destruction. When Greek-writing Judean scholars compiled the Septuagint, the adaptations chosen for these names (for whatever reason) were Εβερ Heber and Εβραιος Hebraios. These names were adapted through LATIN and FRENCH BEFORE reaching ENGLISH as "HEBER" and "HEBREW", and these names WERE USED in the KJV New Testament. The KJV Old Testament was largely translated NOT from Greek and Latin sources, BUT from existing Hebrew texts accessible to scholars at the time, EMPLOYING A UNIQUELY ANGLO-SAXON METHOD OF ADAPTING HEBREW WORDS AND NAMES. As such, in the Old Testament, "Eber" was used WITHOUT THE H, likely reflecting the common Hebrew dialects used AMONG THE JEWS IN EUROPE. However, THE KVJ TRANSLATORS CHOSE to use the New Testament name "Hebrew" (INSTEAD OF "Ibrite" or "Eberite") as the canonical term for the descendants of Eber in the Old Testament as well, likely to avoid confusing lay readers. But one may NEVER really know for sure. As the King James Version of the Bible became the primary Christian scripture of Great Britain, the association of "Eber" with "Hebrew" in the English-speaking religious world became a PERMANENT phenomenon. It was Josephus who made the conjectured connection when he wrote his Antiquities to a Roman (so-called “Gentile”) audience. In all likelihood, they got it from his works. Mind you, Josephus is a descendant of the Hasmonean priestly caste that reigned in Jerusalem from 140-116 BC….he MAY NOT be Israel by natural descent. When Salah named his son “Eber” which means “THE REGION BEYOND”, a people nor a language was even considered. There is nothing within the text of Genesis 11 which records Shem’s genealogy to even suggest this. This was a mere interpolation on the part of Josephus centuries after the Biblical record, which wasn’t FULLY edited until AFTER the 7th century BC, and perhaps CENTURIES LATER! So the term “Hebrew” which means “Passenger” is an addition made by the KJV translators…but yet we jump on the bandwagon and call ourselves “Hebrews” and Abraham a “Hebrew” without understanding the etymology of the word. 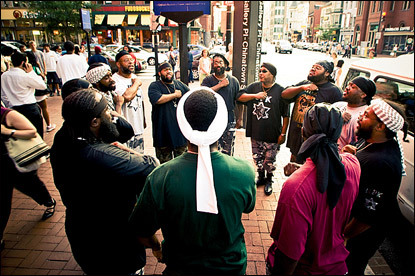 Many of the Hebrew Israelites’ cosmogony is OFF! Now the Bible tells us that Abraham came from Ur of the the Chaldees. But where did his ancestors come from? No one has ever really asked this question…not out loud anyway. Well I am going to tell you where Abraham’s family came from. Abraham’s ancestors came from the Kwahu people. They are a branch of the Akan people whose descendants can be found in West Africa today, namely Ghana. Historical evidence shows that these people settled the Upper Tigris River Valley FROM the African mainland, namely ANCIENT EGYPT! Western historians have identified these people as Adiabene, which became a vassal kingdom of the Parthian Empire (ca 140 BC-224 AD) Even Abraham’s father’s name Terah is of Akan (Egyptian) origin, which is really Tena. It was transposed into Terah much later by Hebrew scholars in the Babylonian exile. Let it be known that “Ur of the Chaldees” IS A MODERN ENGLISH NAME for the geographical region near the estuary of the Tigris and Euphrates Rivers which run through Northeast Africa, not the “Middle East” as coined by WWII radio correspondents. What was this area called in ancient times when the Biblical story claims Abraham was leaving there. If Abraham ever originated from Mesopotamia, it means he must have originated from a separate people who came there CENTURIES PRIOR! So you may ask, “Why does the Bible ONLY have Abraham’s ORIGINS in Ur?” Very simple….the Bible was compiled GENERATIONS LATER in the Babylonian exile by the Judean scribes. Jeremiah and the prophets continued to condemn the rulers of Judea as fools who could have avoided ALL these tribulations had they listened to their prophets (Jer 27:6-8) Ezekiel concluded his condemnation of the captured Israelite people with a hopeful utopian end in which the Israelites would rebuild the Temple, the priests would be the overlords again and Yahweh would live with his people. Isn’t that right? From these tribulations in their lives and history, many of Israel RETURNED TO EGYPT! And those remained in captivity QUICKLY settled into a life of PROSPERITY. That’s why many of them did not go back to rebuild the Temple under Ezra and Nehemiah in 457 BC, the year of their LIMITED RETURN to Canaan. Remember, the generation compiling the Scriptures, were ALSO native BABYLONIANS. Remember THESE PEOPLE FORGOT about Jerusalem! THIS WAS THE GENERATION THAT MUST HAVE BEEN INFLUENCED TO BELIEVE THAT THE PLACE OF THEIR CAPTIVITY WAS ALSO THE PLACE OF THEIR ORIGIN. Sounds VERY familiar with us, eh? Israel’s PRIDE lies in their descent from Abraham….However Messiah said, “And think not to say within yourselves, We have Abraham to our father: for I say unto you, that God is able of these stones to raise up children unto Abraham.” (Mt 3:9). They GLORY in their “SUPERIORITY” OVER THE GENTILES. But if Abraham was NOT A HEBREW OR A JUDEAN OR AN ISRAELITE….then the glorying is BASELESS. That is the point of my argument! Abraham was neither of these nor his sons Isaac and Jacob. Isaac and Jacob were CANAANITES by birth! Canaan is the so-called “cursed” son of Ham. A boy cursed by his drunken grandfather Noah! To reiterate and drive this point home….. If the ancient ‘Judean’ people THAT BECAME Hebrews or Israelites came from the line of Abraham then they were NOT ORIGINALLY HEBREWS OR ISRAELITES. The issue becomes even more complex from the fact that if Abraham was NOT ORIGINALLY A HEBREW OR ISRAELITE, then his son Isaac was also NOT ONE EITHER. We must also conclude that Abraham’s grandsons ESAU and JACOB were not either. Israelites claim direct descent from Jacob, a Canaanite, by birth! 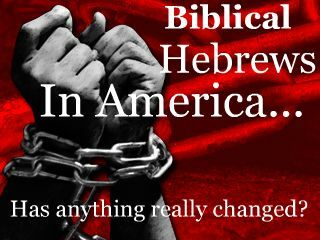 Hebrew Israelites should be careful NOT to base their entire theology on the English translation “Abraham the Hebrew”. That’s ‘ONE’ TRANSLATION that I have shown to be the rendering of the KJV TRANSLATORS OF 1611, which became a PERMANENT PHENOMENON IN ALL THE ENGLISH BIBLE TRANSLATIONS! You still may be arguing…but what about Shem…Let’s take it to history….Will Durant in his magnum opus “The Story of Civilization: Our Oriental Heritage” states, “Of their (Israel’s) RACIAL origin, we can only say VAGUELY that they were Semites.” (p.302) In Durant’s discussion on “Sumeria”, he writes, “The early history of Mesoptamia is in one aspect the struggle of NON-SEMITIC PEOPLES OF SUMERIA to preserve their independence against the expansion and inroads of the Semites FROM Kish (Cush/Ethiopia) and Agade (Akkadia), and other centers in the north. (p. 118 of the same volume). Drusilla Dunjee Houston states in her book “Wonderful Ethiopians of the Ancient Cushite Empire”, pp. 196-197, “The life of the Semitic and Hamitic races must have been closely associated after the deluge. So close is the apparent relationship that SOME AUTHORITIES HAVE LOOKED UPON ABRAHAM AS HAMITIC. Abraham came from Ur of the Chaldees. But he descended by direct line from a Semitic (?) father. (Semitic meaning “mixed”) His mother may have been Hamitic for Abraham was spoken of as a Chaldean. All down the line of the after years we find Hebrews taking wives out of the Ethiopian race. The Babylonian account of the deluge is OLDER than the Biblical story. It does not take away from it but rather corroborates its truth. The great English antiquary Godfrey Higgins stated, “Chaldeans, who were closely related to Babylonians, were Negroes." 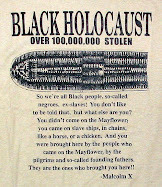 (Anacalypsis 1927, 2:364) You folks who claim to be from the tribe of Judah call yourselves so-called “Negroes”, right. Well, BAM…there it is! To conclude….Abraham begat Isaac by Sarah, his CHALDEAN wife WHO WAS ALSO HIS HALF-SISTER (Gen. 20:11-12), and Ishmael by Hagar, an AFRICAN woman who was the daughter of an Egyptian-Ethiopian Pharaoh, according to Rabbinic tradition. Ishmael, Abraham’s first-born, is acknowledged as the father of all Arabs, whereas Isaac is considered one of the fathers of the children of Israel. From Jacob’s loins came the 12 tribes of Israel. Each of those sons had several sons. Jacob ALSO had a daughter. You very well could be a descendant of Dinah…and therefore that would leave you out of the inheritance found in the sons!. Shalom. Compiled by Neyo Webster from "The Africans Who Wrote the Bible" by Nana Darkwah, "The Antiquiites" by Josephus, and several Internet articles in the public domain.